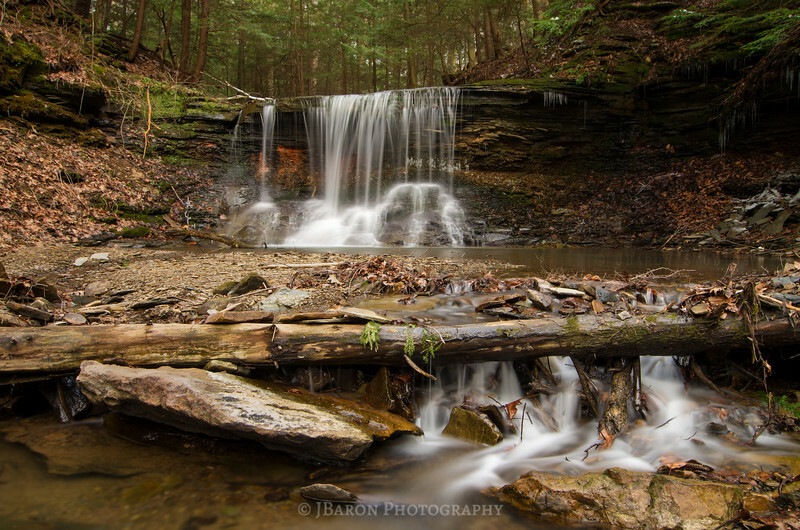 Grindstone Falls at McConnells Mill is a waterfall that I've been wanting to visit for a long time. I succeeded in finding it and also being there on a day when it had a decent amount of flow. There had been about of inch of snowfall that covered the park early in the morning, however there were only traces of snow and ice left over in this afternoon shot.